Talented construction students went head to head in an annual multi-skill champion competition staged by tile and decorating products manufacturer Dunlop. 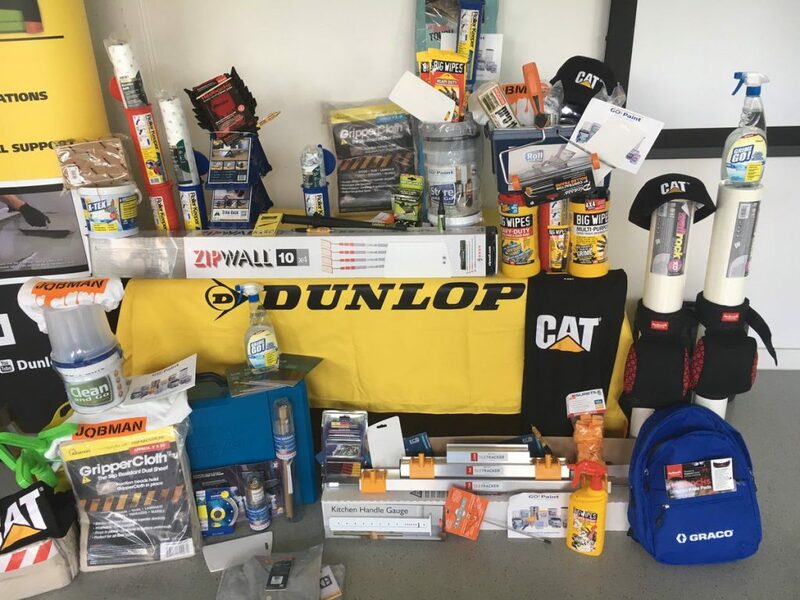 The Dunlop Multi-Skill Champion Competition saw 18 college students from across the country compete in a series of tiling, decorating and joinery skills for a chance to win a selection of tools and products to get them started in the industry – and to be named the overall champion. This competition is the only one of its kind in the UK to recognise students across the UK taking the City & Guilds Construction Skills (6219) qualification. It celebrates and supports students who are looking develop their practical skills before entering the construction industry. Jason Skitt from Walsall College was named the winner and presented with the winner’s trophy and approximately GBP 1000 worth of tools, equipment and, most importantly, a selection of fantastic and much desired BIG WIPES products. Debi Boulton, Dunlop Sales and Marketing Manager, said: “Congratulations to Jason who was a deserved winner of the competition. “The Dunlop Multi-Skill Champion competition is a great chance for construction students across the country to test their skills against their peers and win tools and products to give them a good start in the industry. Grand Final competitors were judged by Dunlop Training Manager and national SkillBuild judge Dave Rowley, Wayne de Wet, the award-winning professional decorator, consultant and industry expert and Nicola Butcher – aka “The Female Chippy” – a multi-award winning carpenter. We at Big Wipes congratulate Jason on coming first in such a closely fought contest and wish him much success with his future career.